Queen E. found it personally challenging. My daughter puts decisions in the neutral position. David is the fast and furious. Latest conundrum…do I basically give my family home away since the market is down 6%. Should I give up carbs and sugar or is death a more comfortable alternative because frankly what is life without bread and chocolate. 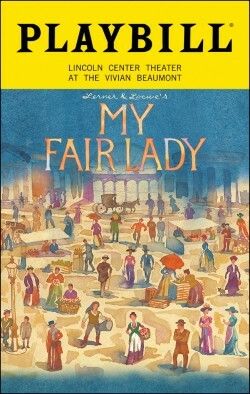 A recent non-threatening decision, after much back and forth, I did decide to buy a ticket for My Fair Lady on Broadway. Broadway musicals are so damn expensive. Anyway, I am glad I vascillated because Laura Benanti recently replaced Lauren Ambrose and Benanti is spectacular…what a voice. Henry Higgins, played by Harry Hadden-Paton of Downton Abbey fame, is wonderful and Rosemary Harris just took over for Diana Rigg and is pure grace. The sets are spectacular and every song is iconic…what a treat! I remember listening to the album on Sundays before NY Giants games. Sundays in my childhood were bagels and lox, Broadway and football. I definitely felt Queen E. and my dad’s presence during the show as I mouthed the words to all the memorable songs. I have a vague recollection of seeing Julie Andrews and Rex Harrison in the original Broadway production of My Fair Lady…they don’t write music like that anymore. Great decision…wish they all were that easy. I loved the show and all the childhood memories that came flooding back. I remember my Dad and I singing “Get me to the church on time” in an effort to hustle my mom out of the house. I’m glad you went.